Mark DeLong believes in second chances. And third chances. Or as many as it takes someone battling addiction to find their way. 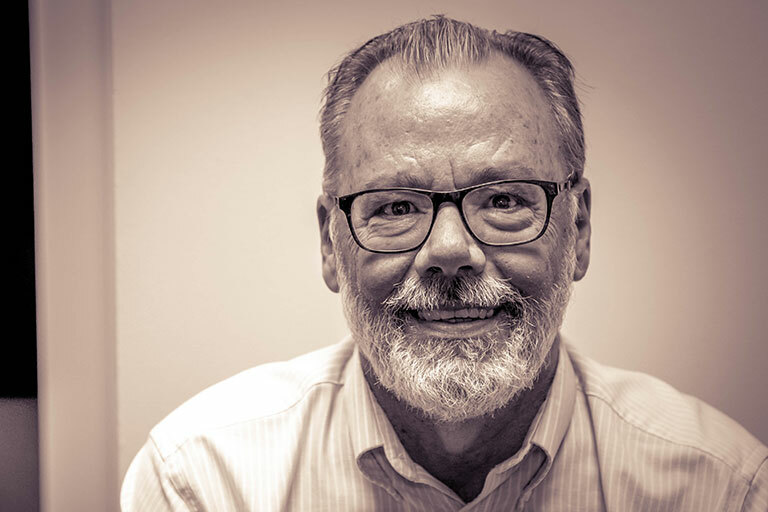 DeLong is executive director of Amethyst House, a Bloomington, Ind.-based nonprofit and United Way of Monroe County member agency that for nearly 40 years has provided a supportive, nonjudgmental space for people struggling with drug and alcohol addiction or gambling issues. The agency’s ultimate goal is to help people build a foundation for clean, sober, healthy living through both in- and out-patient services, and the staff, board members, and alums of Amethyst House form a supportive community. Over the years, Amethyst House has increasingly partnered with other United Way member agencies including Shalom House, MiddleWay House, and Hoosier Hills Food Bank. And the increasing opioid epidemic has brought Bloomington’s nonprofit agencies even closer together, DeLong said. The name Amethyst is symbolic. The ancient Greeks believed that the semi-precious purple stone would prevent people from getting intoxicated; today, the stone is popular among people recovering from and healing from addiction.